Brighton is a fantastic place to live or spend time as a teenager. There’s always something going on, things to see, shops to browse and people to hang out with. Finding somewhere to hang out is harder if you’re at that in between age when you don’t want to be anywhere near your parents, but are too young for pubs and clubs. Step forward the city’s fantastic mix of cafes and restaurants. 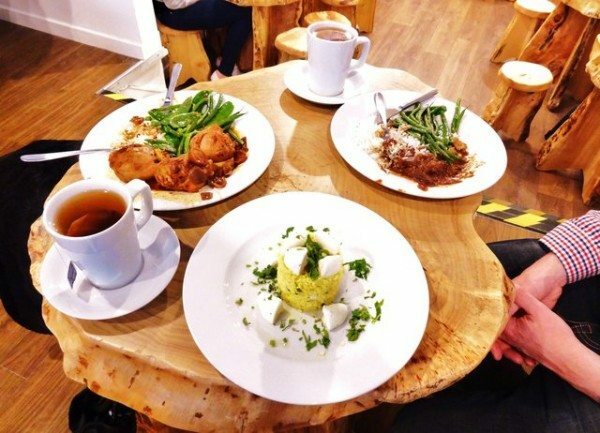 Some are beyond my budget (thanks Mum and Dad for all the meals to date – I hadn’t realised eating out wasn’t exactly cheap) but there plenty where teenagers are welcome, food is reasonable and the atmosphere friendly and welcoming. The following are some of my favourite places to spend time with friends after school or during the holidays and to take visitors from other parts of the country too. 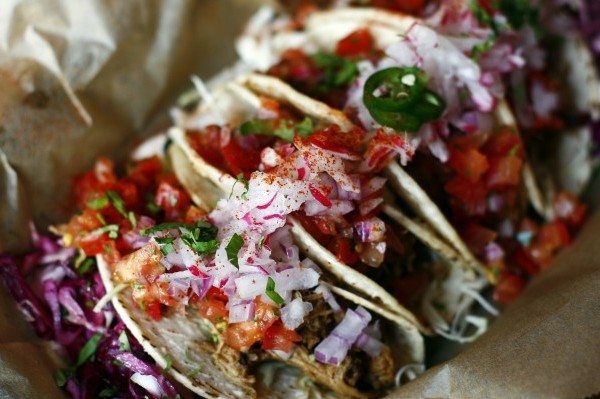 This Mexican street food restaurant on Gloucester Road is always full to bursting and it is easy to see why. La Choza lively atmosphere, brightly Mexican-style décor and friendly staff give it wide appeal. For around £8.00 you can have your fill of delicious quesadillas, burritos, taco, nachos and more. The menu is delicious and diverse with each dish in available with a variety of different toppings, from sweet potato and feta to spicy chorizo and king prawn chilli lime. 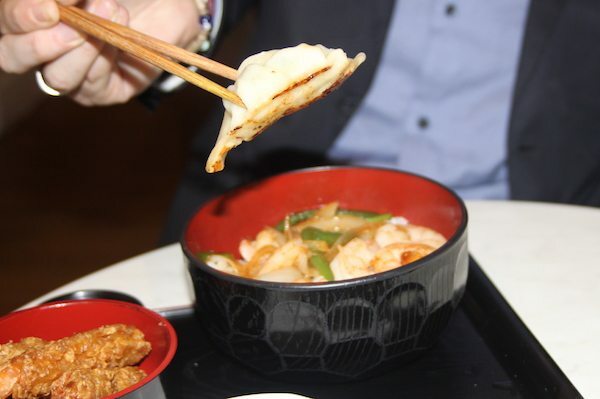 With a tasty range of oriental style curries, noodles and rice dishes priced at roughly a fiver each, this tiny Japanese restaurant on Church Road is the perfect place for anyone on a budget. 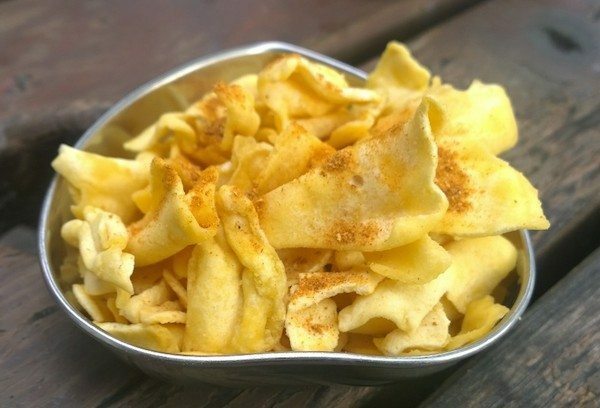 Don’t be put off by the queues – the turnover is quick and it’s worth waiting five minutes to squash up alongside fellow diners and sample the rice bowls, dumplings, noodles, soups and, my favourites, the teriyaki chicken don and the bread crumbed coated pork curry. Good quality food and great taste are guaranteed. The staff contribute to the appeal of this small restaurant, providing fast service with a smile. Kensingtons is a trendy café, with an outdoor balcony overlooking the busy streets of the North Laine. Perfect for a lunch in the sun, when the weather’s good, a meal in one of the cosy American style booths complete with playlists carefully selected by the staff. The menu includes a range of sandwiches- including bacon brie and cranberry, fish finger and halluomi- Burgers, fajitas, chilli, pulled pork and nachos, all of which are priced at under £10. Kensington’s also has a brilliant breakfast menu ranging from traditional full English to syrupy pancakes. And don’t leave without trying a Milkshake – they do the best gingerbread milkshakes! This small, beautifully decorated Italian restaurant is easy to miss. 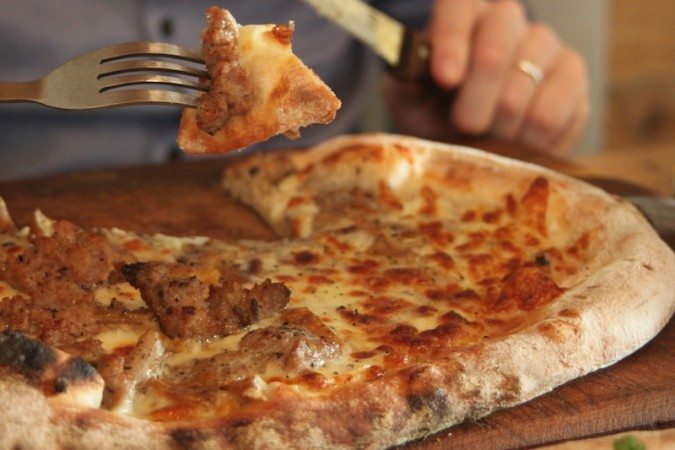 Hidden on the busy Old Stein, Very Italian Pizza offers authentic Italian food and atmosphere at very reasonable prices! There sourdough pizzas are cooked in a traditional wood burning stove and cost from as little as just £6. 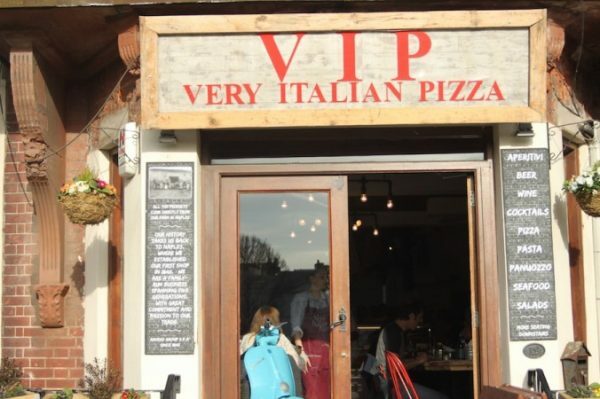 VIP also provides gluten free and vegan options and a mouth-watering selection of deserts including Tiramisu, almond and chocolate cake and a delicious Neapolitan cheesecake. Simple but fool proof, falafels are always a very popular choice for Brighton inhabitants and We Love Falafel on Sydney Street provides the best in town! The food is freshly prepared and inventive, with new takes on the ordinary dish such as beetroot and sweet potato falafels. A falafel salad wrap costs just £3.70 and there’s a hummus and salad bar option for just £3.50. Namul is a fairy new Korean café in Gardner Street, serving the traditional Korean signature dish, Bibimbap, which literally translates at mixed rice. When ordering, you are given a choice of rice, protein toppings and vegetables and mix it all up in a bowl. There’s sweet and spicy chicken, tuna and pork, plus crispy greens, spiky pickled cabbage, carrots, sprouts and seaweed. The service is fast, friendly and efficient, and with prices beginning at just £4.95 and is fast becoming a popular new addition to the Brighton eating scene. Located right on the seafront in Southwick, Carats café makes for a brilliant day out by the sea, when the beaches in Brighton are heaving with people (it’s much quieter at the other end of town). After a swim on an almost deserted beach, you can enjoy a fantastic fry up (all day breakfast provided) or perhaps more traditional fish and chips on the terrace outside or tucked away behind the huge glass windows on more blustery days. Burgers, jacket potatoes, sandwiches and a range of drinks and cakes are all on the menu too and you can eat well for less than a tenner and often for just a fiver. Covered in family photos and draped in sarongs, this family owned restaurant on Richmond Parade is bursting with character. If that alone isn’t enough to entice you, then the food certainly is. Planet India is home to the most incredible vegetarian and vegan curries in Brighton including spinach and paneer, black chick pea, aubergine and yoghurt curry, and Mumbai potato. They are all reasonably (and precisely!) priced, with a single curry for £7.81 or two half curries for £9.17. The tag line “Nutritious and delicious” neatly sums up this restaurant North street and Western road. Foodilic caters to vegans, vegetarians and meat eaters, serving up delicious salads as well as hot dishes, soups and meat. Visit the North road branch for a taste of the all you can eat buffet for £6.95 and you can gorge out without breaking the bank. But its all good stuff such as roasted butternut squash with pumpkin seeds and red onion, giant couscous with zucchini and homemade pesto and puy lentils with anchovies, capers, tomatoes, lime and herbs, so you can gorge out without feeling greedy. 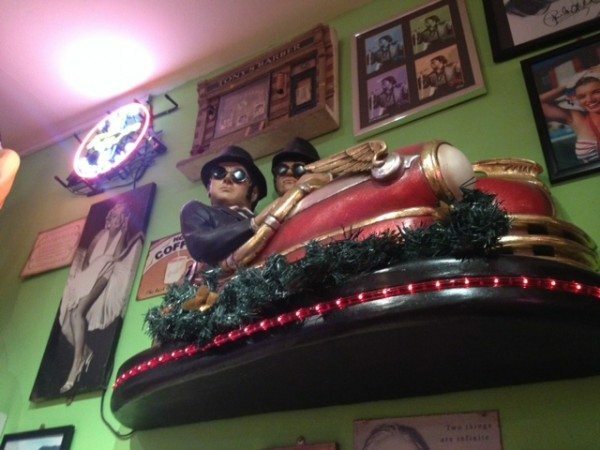 JB’s Diner on the Kings Road in Brighton is what it says on the tin: a real American style diner where you, sit in red leather booths, surrounded by the framed faces of Buddy Holly and Marilynn Monroe and are serenaded by the king (Elvis, not George VI.) The 1950s tunes and décor provide the perfect atmosphere to enjoy the tasty dishes JBs has on offer. Meat and Veggie Burgers, hot dogs, chicken, steak and salads are all generously portioned (typical US style) and cost around £10. Be sure to save some room for dessert, with this diner providing the biggest and the best milkshakes in Brighton!